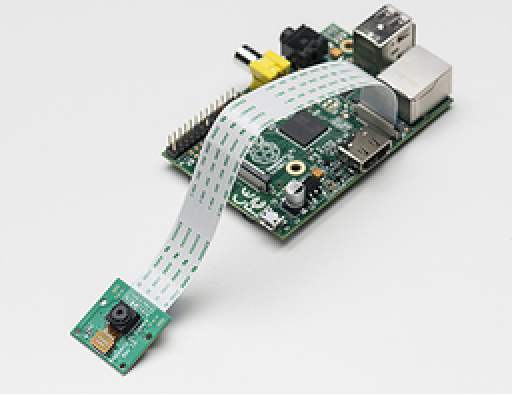 Device Name: Raspberry Pi Camera Device Type: Camera Version(s): V1, V2 Connectors: CSI bus connector File formats generated: PNG Measurement modalities: Images Connection types: N/A Description: The Raspberry Pi Camera module is a custom-designed add-on for the Raspberry Pi. It connects directly to the Raspberry Pi through a dedicated CSI interface. This device works exclusively on a Raspberry Pi. takes one picture with the camera. DeviceRead takes an image with the connected camera. The default size of the image is as large as the camera is capable of capturing—2592 by 1944 for version 1, and 3280 by 2464 for version 2. The output is an Image object. DeviceRead can be called without first calling DeviceOpen. takes one picture with the camera of width w and height h.
Custom-sized images can be taken by passing in w and h, which must both be Integers and must be within the camera's maximum image sizes. If w or h exceeds its respective limits, it will default to the maximum value allowed.